The MK Colloid mill is equipped with an adjustable milling tool, that is used for wet milling hard pigments and other solids with Moh’s hardness up to about 8. Workstation consists of ULTRA TURRAX® Tube Drive, 2 x ST-20, 2 x DT-20 incl. 1 removal hook for removal the rotor-stator unit, 2 x BMT-20 G / S, power supply. The Micro-Plant is an enormously flexible plant for the determination of process parameters that are scalable. 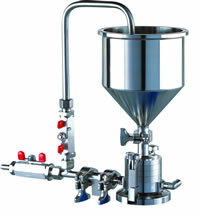 New, competitively priced dispersing instrument for volumes of 0,5 to 100 ml. A wide speed range allows you to work at high circumferential speeds even with small rotor diameters. Perfect ergonomic finish. Competitively priced dispersing instrument for volumes from 1 – 1500 ml (H2O) with digital speed display. It offers a wide speed range from 500 – 25,000 rpm that enables users to work at high circumferential speeds even with small rotor diameters. A broad choice of dispersing elements guarantees a wide range of applications. High-performance dispersing instrument for volumes from 1 – 2000 ml (H2O) with digital speed display. It offers a wide speed range from 500 – 25,000 rpm that enables users to work at high circumferential speeds even with small rotor diameters. A broad choice of dispersing elements adds versatility. Applications ranges from homogenizing waste water samples, use in laboratory reactors, dispersion tasks under vacuum / pressure and sample preparation in medical diagnostics. 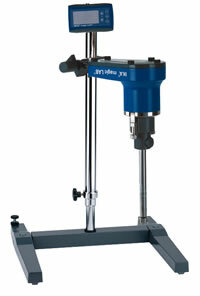 High-performance dispersing instrument for volumes from 0.25 - 30 l (H2O). Powerful dispersing instrument for volumes from 0.25 - 30 l (H2O) with digital speed display. It offers a wide speed range from 500 – 10,000 rpm that enables users to work at high circumferential speeds even with small rotor diameters. A broad choice of dispersing elements guarantees a wide range of applications. Reproducible operations due to constant speed even with changes in viscosities. The high-performance T 65 D dispersing instrument has been designed for typical pilot plant stations quantities from 2 - 50 l (H2O). Universal Disposable Disperser System with hermetically sealable disposable sample tubes. For protection and security. 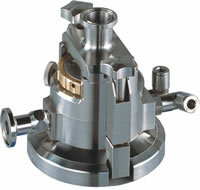 The UTC-module consists of an adapter and the dispersing tool (S25N-18G).